ERBIL, Kurdistan Region (Kurdistan 24) – President Barzani on Wednesday condemned the murder of Arkan Sharif in southern Kirkuk and held Iraqi and Iranian-backed Shia Hashd al-Shaabi forces responsible for his death. President Masoud Barzani, whose term ended on Wednesday, released a statement on the murder of Arkan Sharif, a Kurdistan TV cameraman and journalist who was brutally murdered Monday morning, in own his home in the town of Daquq, by a group of masked armed men. “Martyring journalist Arkan Sharif is a very clear example of the chauvinist culture imposed through brute force on the Kurdistani areas outside of the Kurdistan Region’s administration – a culture that does not believe in freedom of speech and disregards individual freedoms,” Barzani stated. He extended his condolences to the family and relatives of Sharif, journalists in Kurdistan and the entire staff of Kurdistan TV. Kurdistan TV is an affiliate television channel of the Kurdistan Democratic Party (KDP), the largest Kurdish party in the Kurdistan Region, led by President Barzani. The news outlet on Tuesday blamed the Hashd al-Shaabi militia, also known as the Popular Mobilization Forces (PMF), for the murder of its cameraman. After Hashd al-Shaabi and Iraqi Forces launched an assault on Kirkuk and other disputed areas on Oct. 16, Sharif and his family, among thousands of other people, fled to the Sulaimani Province. 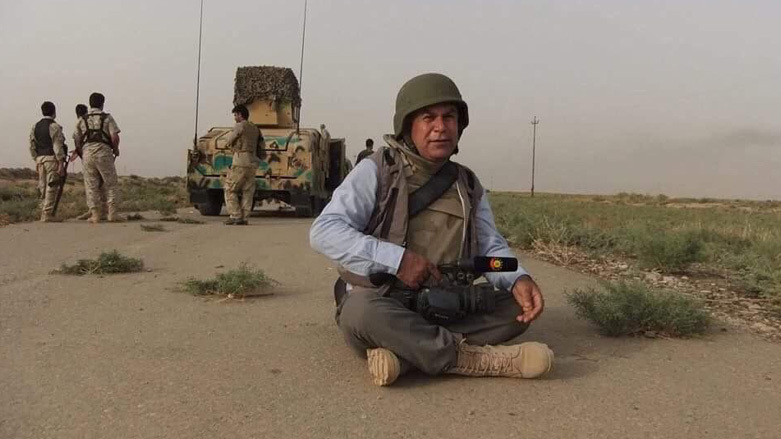 The Director-General of Kurdistan TV, Karwan Akraye, told Kurdistan 24 the Asaib Ahl al-Haq, a faction within the Hashd al-Shaabi, were the perpetrators of the cruel murder of the photojournalist. Photos of Sharifi’s mutilated body went viral on social media, as they showed the bloodied man with multiple stab wounds and the murder weapon left in his mouth.